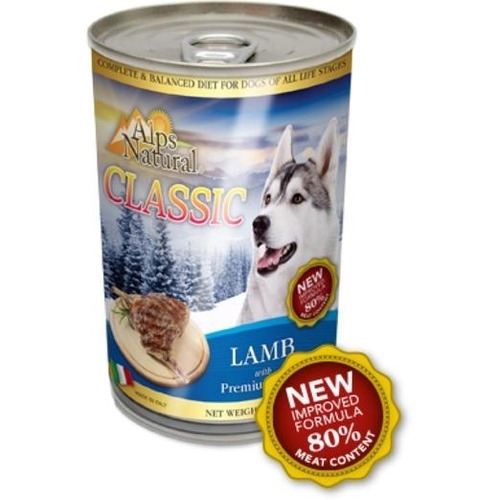 Dogs thrive on quality protein and healthy fats, which is why Alps Natural® Classic Lamb with Premium Meat promises an easy to digest meal with an irresistible taste. 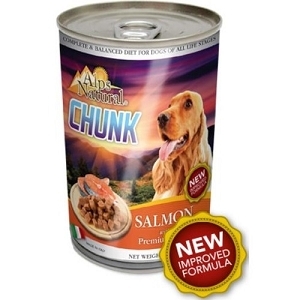 Alps Natural® wet food are MADE with 100% all natural quality ingredients such as healthy protein sources and essential vitamins and minerals to help support a happy, healthy life. 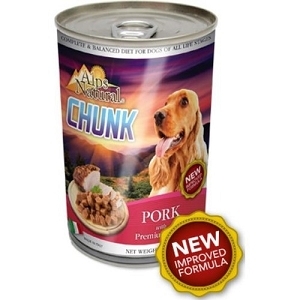 It is filled with meaty goodness in savoury gravy that your dog will enjoy to the very last bite. Rest assured that every can of Alps Natural ® is complete and balanced for all life stages. 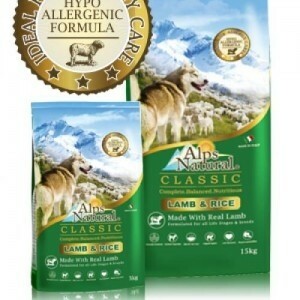 Alps Natural® wet food are FREE from gluten, preservatives, artificial flavours and colours.